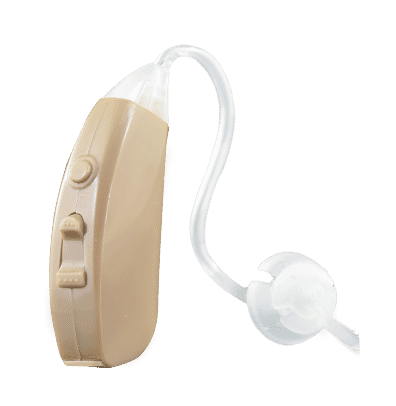 The Precise Hearing 206 is an affordable hearing aid specifically designed for people on a tight budget that are looking for outstanding value in an FDA approved digital hearing aid. For the price, there is not a better hearing aid on the market! Not only is it a low cost answer for hearing loss in the Noticeable to Significant range, but it is also works great as an inexpensive back-up hearing aid to supplement your current hearing aid set. It features an Optimized Digital Sound Processor (DSP), noise cancellation and an easy to use rocker switch that offers both volume and program control (Quiet Mode or Noise Mode) at the touch of a finger. The Precise Hearing 206 is a true digital hearing aid that has proven its reliability time after time.